TheArmenianKitchen.com : Why bash anyone else's food? Let's just eat! Our fassoulia video on YouTube.com has drawn this comment from a reader who identifies himself as Engafaf. "It looks delicious, just wanted to say the word Fasolia means green beans in Arabic and that's what we call our dish too, what a coincidence. There are a lot of similarities in the names of dishes like kashke and haresa too. I wonder how?" The same reader commented on our boorma video: "Very yummy, this is also how Turkish people make them." Who can argue with a compliment? And while we're at it, let's also give a nod to the Greeks, Assyrians and Persians, among others. The Near and Middle East combined make for a big neighborhood, but it's easy to see how some common ingredients mixed thoroughly by a few thousand years of migration, invasion and assimilation have resulted in remarkably familiar dinner menus across ethnic and cultural lines. We don't pretend to be food historians, so we are always careful about claiming any dish as exclusively or even originally Armenian. Our focus is mainly on what Armenians enjoy and what we cook well. In fact, we think politics has no place in the kitchen -- it can't possibly help the digestion. So perhaps, like Engafaf, we can all show appreciation for the good stuff regardless of what anyone calls it. All of us except Mr. Tahir Amiraslanov, it seems. 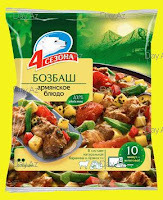 Mr. Amiraslanov, director of the Azerbaijani National Cuisine Center, is reported to have taken extreme umbrage at a Russian food company's alleged mislabeling of a traditional Azeri dish as Armenian. We say "alleged" because the label's in Russian. For all we know, it could be cat food. But according to the story reported on an Azerbaijani Web site (Today.Az), the recipe in question is bozbash, identified by various sources as a lamb soup with quince and chestnuts. Sounds good to us, but not remotely familiar. We'd be willing to accept Mr. Amiraslanov's claim at face value if he'd stopped there. 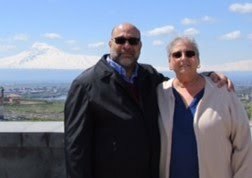 But he added this: "We have proved (to) the world that there is no Armenian cuisine. Their food consists of dishes that they stole from Azerbaijani cuisine. 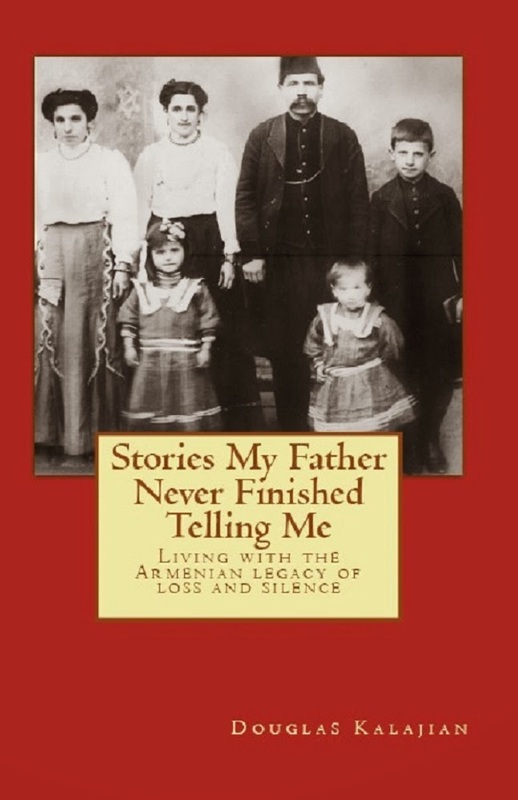 In our articles and publications, we constantly expose the Armenian lies." Just for the record, the present-day Azeris are direct descendents of the Seljuk Turks, who moved into the neighborhood in the 11th Century. If Mr. Amiraslanov is correct, the Armenians who founded Erebuni (Yerevan) must have gotten awfully hungry while waiting 1,800 years for the Azeris to teach them how to cook. We may not know anything about bozbash, but we sure know baloney! We -Azerbaijanians, are very guestful, guest loving people. And we always welcomed armenians in our land but instead they became brutally violent against us. "If Mr. Amiraslanov is correct, the Armenians who founded Erebuni (Yerevan) must have gotten awfully hungry while waiting 1,800 years for the Azeris to teach them how to cook"
I would not talk about the founding of Yerevan,if any foreign reader want to read about Azerbaijan history,he can find everywhere about how Yerevan was founded. Finally about Bozbash... Boz- means grey in azerbaijanian/turkish , Bash means head in azerbaijanina.when we put those words together you get Bobash, and the meal lookes a like "Gray head-ball" the same as meat ball. You can see the picture of the meal. Azerbaijanians always welcomed armenians in our country. Armenians had always good jobs and held good positions in Azerbaijan during USSR, and i believe that if people in Nagorno Karabakh will join Azerbaijan , they will have much more better life and Azerbaijan and Armenia will become friends as they were 20 years ago. Thank you for your thoughts and bozbash photo.